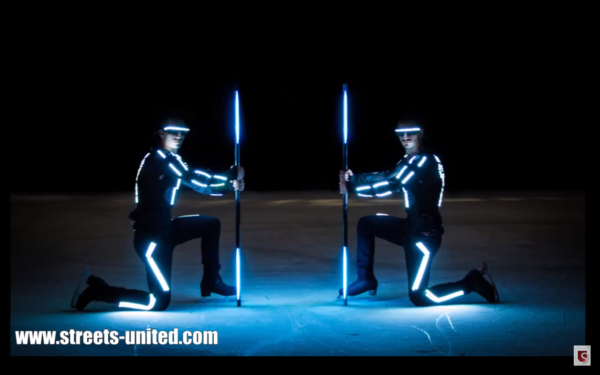 When it comes to technology on ice these Ice Skating Entertainers are NO DOUBT top of their game, with their choreography, skill and visual entertainment. 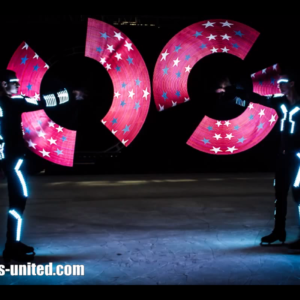 Costs to book these Ice Skating Entertainers start from GBP £ 450 per person depending on what is required of them are where the event is. 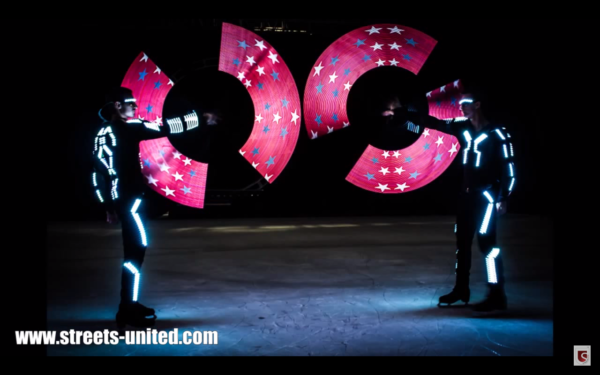 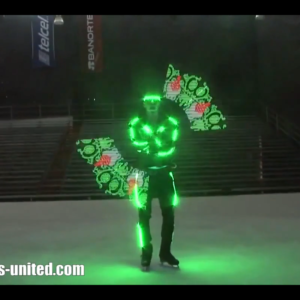 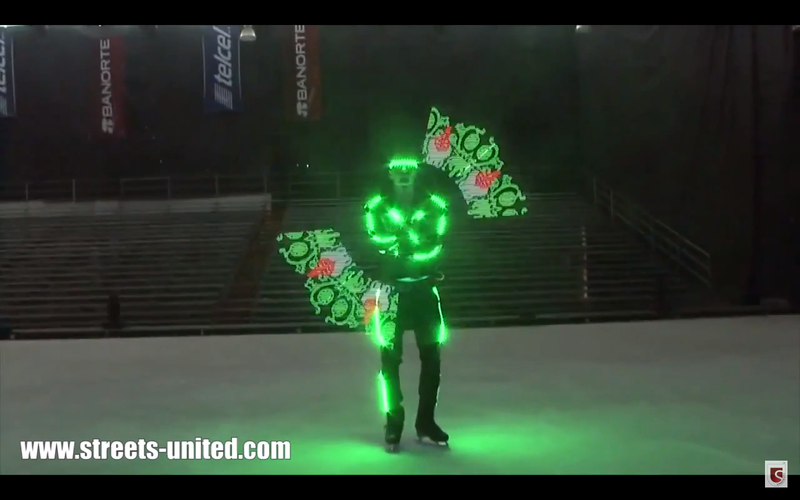 These Ice Skating Entertainers are considered as an extreme heat warming show ALL on ice. 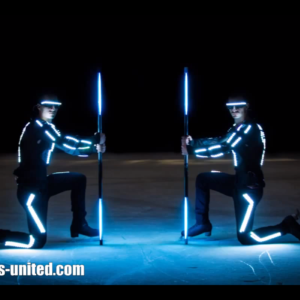 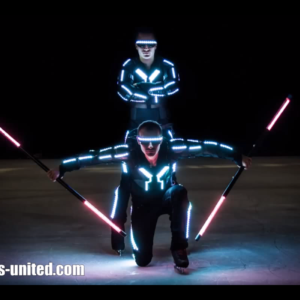 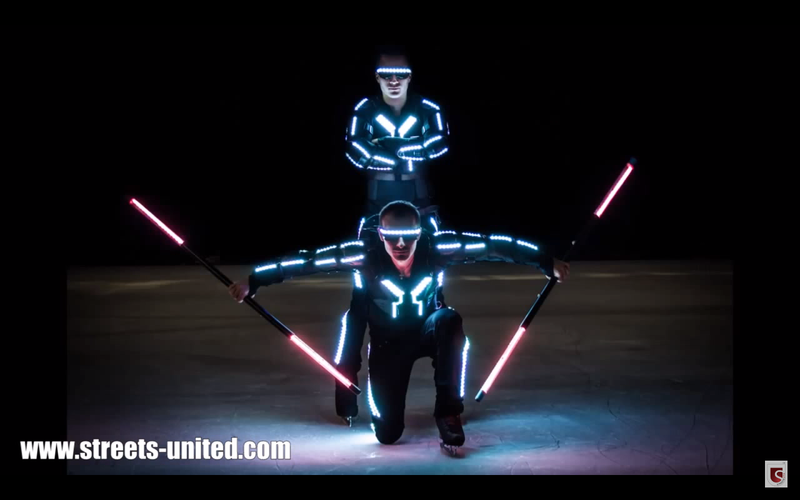 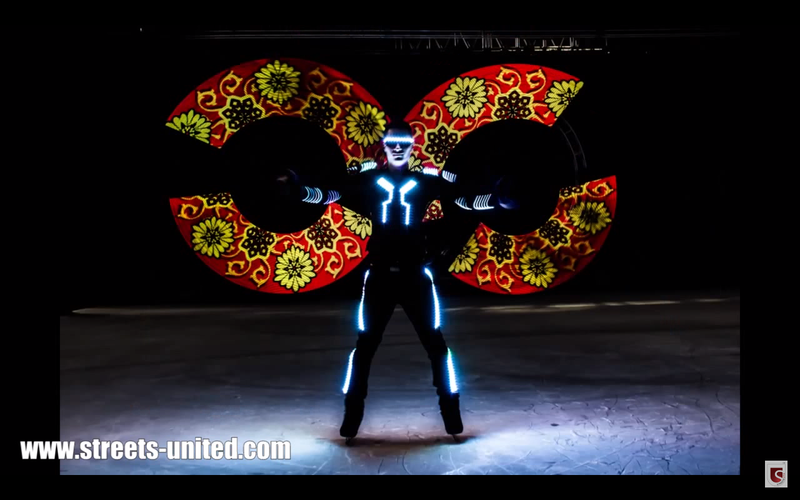 The ice skating professionals who are also experts in LED POI and LED STAFF performances have put together a number of incredibly choreographed performances. 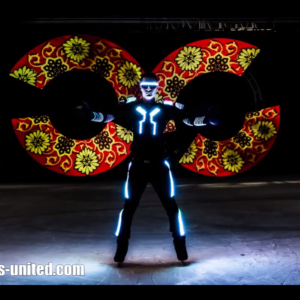 The LED lights can be coordinated in a way that display a name, a company logo or a brand.